Gianluca and his collection of smiles have warmed the hearts of many Eurovision enthusiasts in the past few months. The young lad from Malta is a medical doctor by profession, and also one of seven siblings, who are all talented musicians and singers. Although fully committed to what he describes as his vocational calling, music has always served as a good break for the singing doctor, who has very adeptly found a balance between his daily ward rounds and his passion for music. 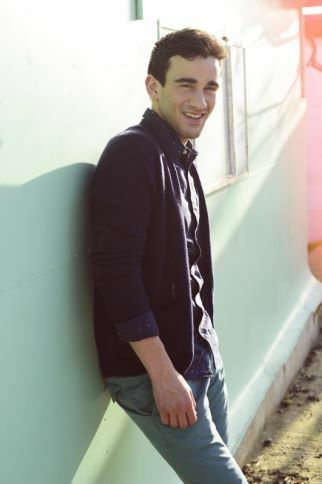 Gianluca is the front man of a local band, whose dynamic performances and recent single releases have propelled it to the forefront of the island’s music scene. While funk and indie elements characterise the band’s distinctive sound, Bezzina draws on a wider variety of influences as a solo artist. He is mostly inspired by Michael Bubé’s brassy standards, John Mayer’s modern blues, the nu-folk style of Mumford and Sons and Noah and the Whale, while also being deeply captivated by Chris Tomlin’s contemporary Christian music. Gianluca is a regular singer with his prayer group and has also spent time doing voluntary work among children in Turin, Cairo and Palermo, with the sisters of Mother Theresa. He started off his music career by playing the piano accordion, eventually shifting his focus to singing in various charity concerts around Malta, including the popular biannual Voices concerts and Rockestra, a yearly event organised by the Malta Philharmonic Orchestra and held under the Patronage of the President of Malta. It was through one of these charity events that songwriters Boris Cezek and Dean Muscat approached Gianluca with the intention of collaborating. Originally intended to be a radio hit, Tomorrows feel-good factor combined with its simple yet meaningful lyrics, possessed all the necessary ingredients to take it to the Eurovision stage this year. Gianluca looks forward to broaden his experience through the Eurovision Song Contest as he feels it will give his career greater potential for growth and exposure, while allowing him to make further contacts with foreign music professionals. It is indeed an honour for Gianluca to be putting his rigorous routine on hold for a while, as he represents his country in Malmö definitely an opportunity not worth leaving till Tomorrow!